Indonesian citizen, was born in Mersam, Jambi in 1964. He earned a Bachelor of Economics from University of Slamet Riyadi, Surakarta in 1990. He began his career in Banking as a Marketing Manager from 1991 – 1998. Then he joined with PT Satyatama Graha Tara in Association with Brooke Hillier Parker International Appraisal & property Consultant in 1998. Presently he serves as a Director of PT Equity Development Investment Tbk, President Director of PT Ventura Investasi Utama, and as Commisioner in several companies subsidiaries. In 2006 he was appointed as an Commisioner of PT Asuransi Dayin Mitra Tbk based on the results of the annual GMS on June 30, 2006. He was appointed as the President Commissioner of the Company based on the results of the annual GMS on June 26, 2014 until now. In addition, he actively participates in several organizations, including as a member of ISEI (Indonesian Economists Association) Jakarta since 1990. He also was the Deputy Secretary General of ASBALI in 2001-2003 and the Head of Interdepartmental Communications of Indonesian Auction House Association (ASBALI) in 2001-2004. Indonesian citizen, born in Kudus, Central Java, in 1948. He holds a Bachelor of Economics from Diponegoro University, Semarang, in 1974. In 1996, he graduated from IPPM Jakarta with a Master of Management degree, and in 2007 earned a Doctoral (S3) Inter-Sector Studies Program of the University of Gajah Mada, Yogyakarta. He started his career in banking in 1975 as a staff in the Bank Indonesia (BI). His career in the banking world continue to increase, in 1982 was appointed as the Head of the Small Enterprise Development Bank of Indonesia. 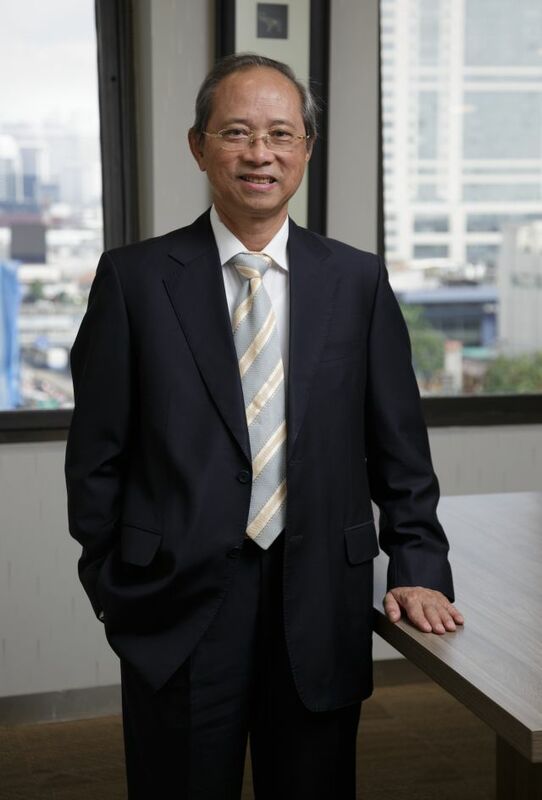 In 1995 to 1998, he was promoted as Director/Head of Credit Bank Indonesia. In 1998, he was appointed as the leader of Bank Indonesia Bandung, West Java. Furthermore, in 2000 to 2003 served as Executive Director of Bank Indonesia led the Directorate of Banking Supervision. After completing his duty in Bank Indonesia, he continued his career in PT Permodalan Nasional Madani (PNM) as Director in 2003. He returned to work in Banking as Finance Director of PT Bank Rakyat Indonesia Tbk in 2006. Then in 2010 through 2014 he is trusted to lead PT Bank Ganesha as President Director. Furthermore, he is trusted to be the President Commisioner of PT Bank Ganesha until the end of 2015. From 2014 until now, he served as Director of the Graduate Program S2 (Master of Management) Indonesia Banking School. On June 27, 2016 by Annual GMS PT Asuransi Dayin Mitra Tbk, he was appointed as Independent Commissioner. Indonesian citizen, was born in Palembang in 1967. He attended Robert Lee High School in Texas and earned a Bachelor of Science and Business Commerce (BsBc) from the University of Houston in Texas in 1988. 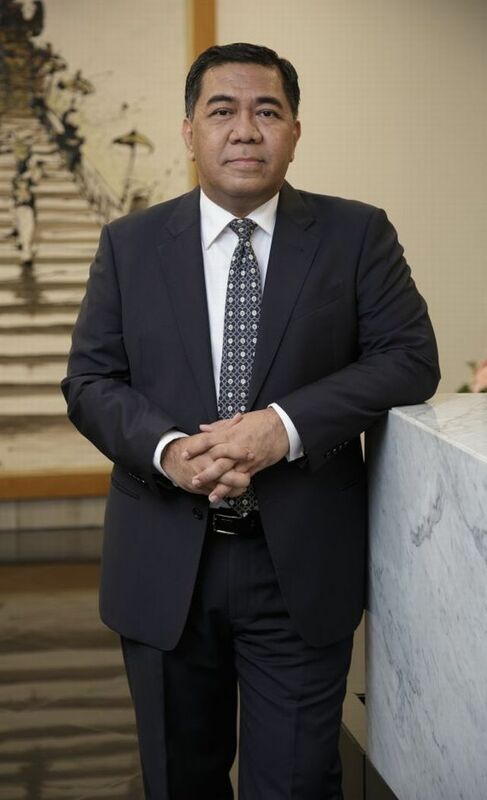 After graduating from Houston, he began to work with American Express Bank TRS in 1989 and Citibank N.A in 1990. He also served as a Marketing Manager of PT Central Trust Indonesia from 1993-1999. He served as a Deputy Director of Marketing at PT Equity Development Securities, and as a Fund Manager of PT Ventura Investasi Prima. Furthermore, he currently serves as an Advisor of PT Bukit Baiduri Energy. He began his career with PT Asuransi Dayin Mitra Tbk in 2002 as a Marketing General Manager and then between June 2003 – May 2005 he was appointed as a Marketing Director based on the results of the Annual GMS on June 6, 2003. In May 2005 he was appointed as an Independent Commissioner based on the results of the annual GMS on May 17, 2005 and as the Head of the Audit Committee up to August 2010. Then according to the annual GMS on June 26, 2014, he was reappointed as a Commissioner. 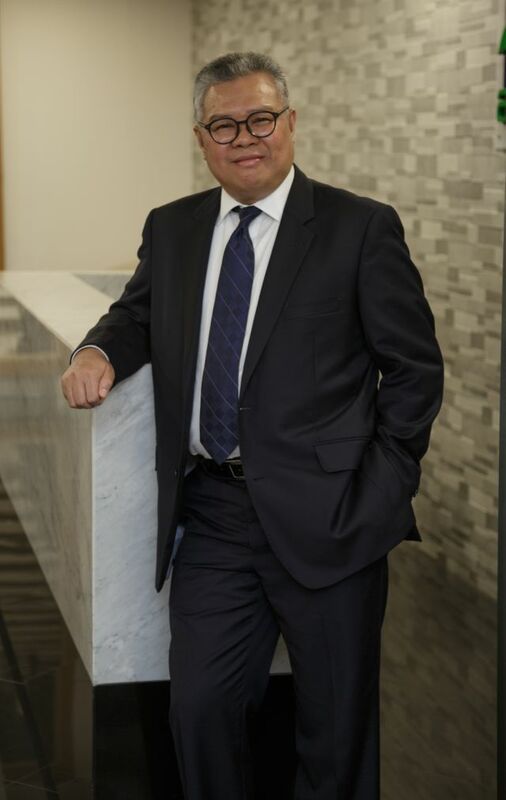 In addition, he actively participates at the Indonesian Chambers of Commerce and Industry (KADIN), previously holding positions as the Deputy Head of the Capital Market and Financial Institutions Committee, the Head of the Permanent Committee on Banking Relations, as the KADIN Treasurer for Committee Malaysia, as a member of the Banking and Finance, Committee United States, as a Board of Honorary of BPP HIPMI (Central Executive Board of the Indonesian Young Entrepreneurs Association) and as the President Senator of the Indonesian Junior Chamber. At present, he holds the position of Vice Chairman-Marine & Fisheries at the Indonesian Chamber of Commerce & Industry. Indonesian citizen, was born in Sukabumi, in 1958. She began her career at PT Asuransi Raksa Praktikara from 1980 – 1994 with the last position as a Reinsurance Manager. Started to join PT Asuransi Dayin Mitra Tbk in 1995 as Reinsurance Manager, then was promoted as a Deputy General Manager in 1998 and was again promoted as General Manager to supervising the Underwriting Department, Reinsurance Department and Claim Department. She was appointed as a Technical Director of PT Asuransi Dayin Mitra Tbk based on the results of the annual GMS on May 17, 2005. Presently she serves as an Independent Commissioner based on the results of the annual GMS on June 15, 2015. 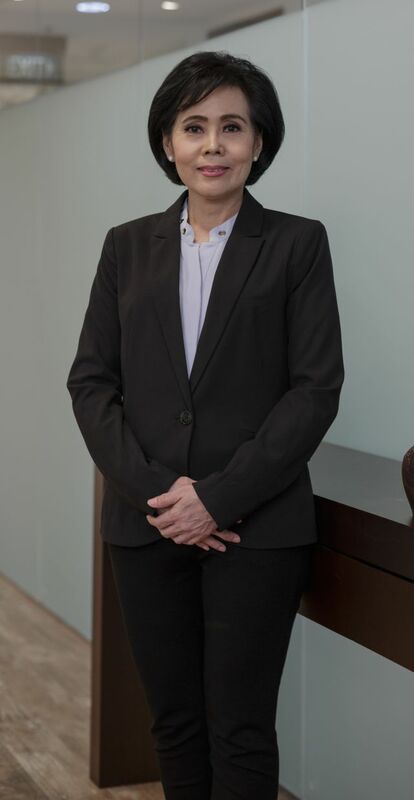 She completed her education from the Academy of Foreign Language in Academy Jakarta and currently she is a Senior Associate of The Australian & New Zealand Institute of Insurance and Finance (ANZIIF – Senior Associate), and also holds an Indonesian general insurance professional degree of AAAIK. She also actively participated in various seminars, such as Excess of Loss Reinsurance Seminar organized by Greig Fester Ltd, London, Chiyoda Fire & Marine Insurance Seminar in Tokyo, Excess of Loss Reinsurance Seminar in Hannover, Financial Reinsurance Concept organized by Hannover Re in Jakarta, Excess of Loss Features & Ratings held by Kinnimonth Lambert in Jakarta, Surety Bonds Seminar organized by Munich Re in Jakarta, Towards Healthy Underwriting with Statistic organized by the Indonesian Insurance Council, Claim Management Workshop organized by Singapore Re Association in Singapore and Creative Thinking Skills & High Energy High Promotion organized by James Gwee Success Center in Jakarta. In 2015, she also has passed the evaluation and fulfilled the qualification of Insurance Company Risk Management Level 5, organized by the Association of Insurance Management Indonesia (AAMAI) and has obtained a certificate of competence in the field.